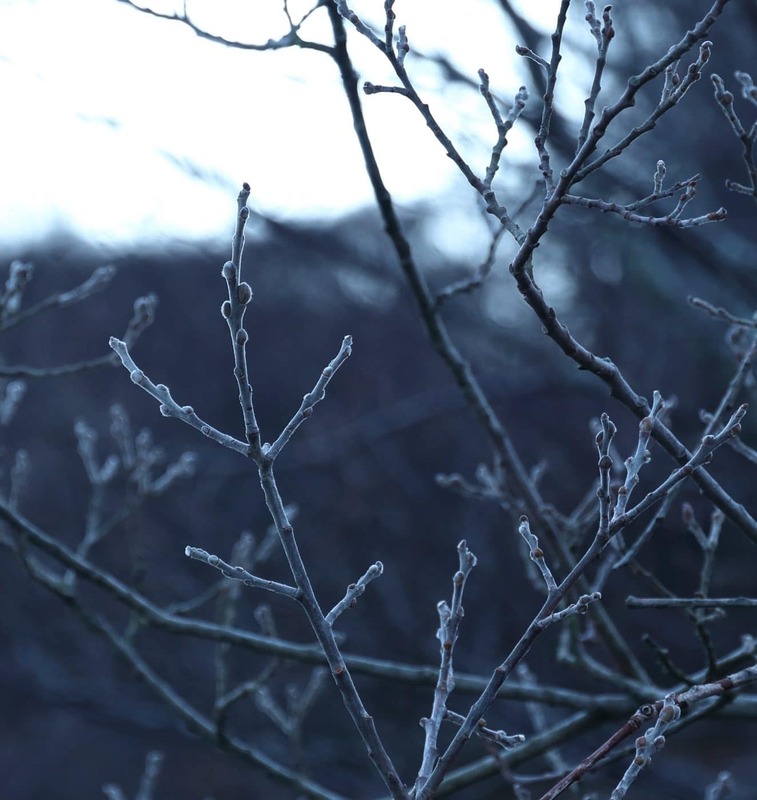 On 31stJanuary 2019 David Haines sent me a picture of willow twigs taken earlier that day near Oldany (NC1033). They bore a dense coat of short hairs and, since nothing in nature is without purpose, he asked the simple question, why? I spoke to another local naturalist and we thought, possibly, to reduce desiccation of the relatively tender tissues of young shoots. They are, after all, at the ends of branches and exposed to the full drying effects of light and wind. My first response was to identify the willow and see if this sort of hairiness, which botanists call pubescence, is typical of it and its relatives. From the straight hairy twigs and David’s description of the location, the most likely candidate is grey willow Salix cinerea, one of our two commoner willows. This is described as having ‘twigs…at first densely pubescent and sometimes remaining so until the end of the first year’, which fits. Eared willow Salix aurita, on the other hand, has ‘twigs slender…at first shortly pubescent, [but] soon becoming glabrous [hairless] or subglabrous’, which doesn’t. I then had a quick scan through detailed descriptions of other trees and shrubs found in Assynt (easier than plodding through a snowy landscape with a pair of secateurs). Results were mixed. 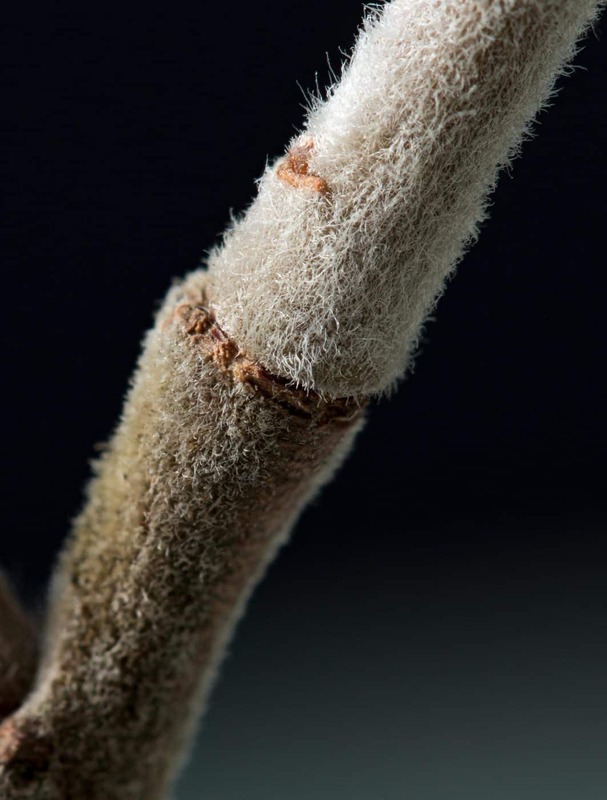 Goat willow, downy birch, hazel, rowan and elm all have pubescent twigs, while aspen, alder, oak and holly are glabrous. When in doubt, ask an expert. A good friend, Peter Grubb, whom I met on my first day at university, is a distinguished plant ecologist, still active in that field of study, at Cambridge. I owed him a seasonal telephone call and an informative catch-up followed. Put at its simplest, the classic view of the purpose of such pubescence was, indeed, to mitigate the desiccation of young shoots. It is now appreciated that, after plants colonised dry land and diversified, an arms race ensued, offensive and defensive, between them and other organisms, such as fungi and insects, which make their living as parasites and predators. 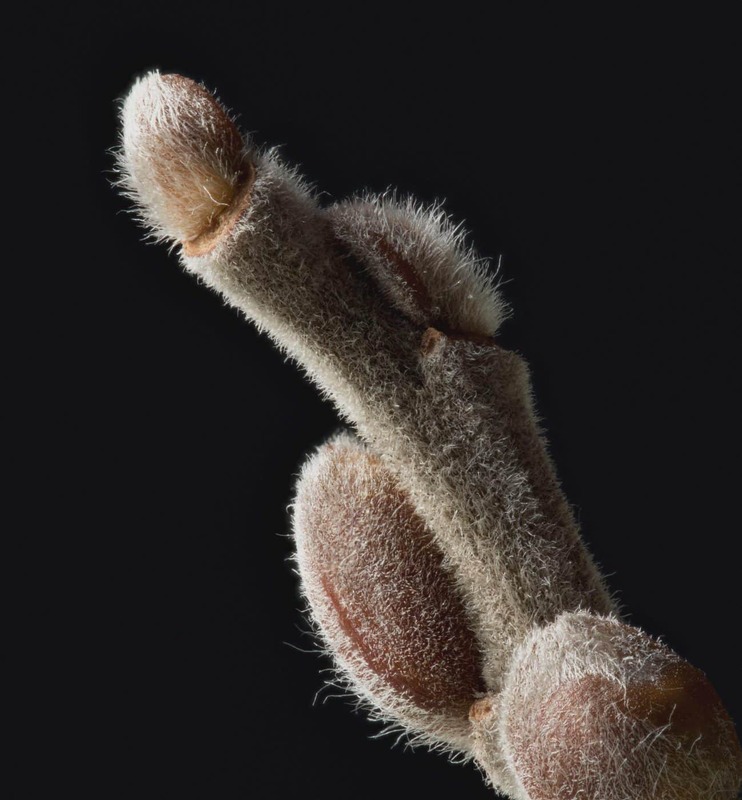 So, some young twigs have hairy coats to deter caterpillars from chewing their way through to the succulent and nutrient-rich tissues beneath. This is also true of their buds, and of the leaves and flowers that develop from them. Aspen and other hairless species must have an alternative means of defence, possibly chemical, but that is another question.